Native Americans, and Alaskan Natives, like many other minorities in the United States have historically found themselves excluded from the halls of higher education. But those times have changed. 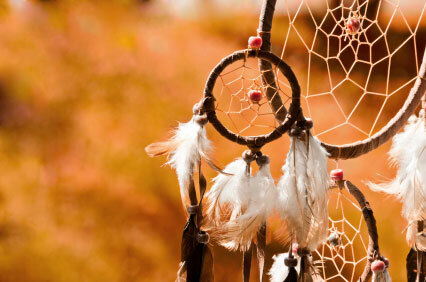 Today, there are many scholarship programs specifically targeted for Native American students. IF you are a member of one of the Federally recognized tribes, and meet the prescribed requirements you may be able to secure scholarship funding for your college education. When applying for a Native American scholarship, you will have to be able to document your Indian ancestry, and prove your attachment to one of the 562 Federally recognized American Indian tribes. It will not be enough to have an aural or anecdotal family history. You must be an enrolled member of a tribe that is recognized by the U.S. Government and the National Congress of American Indians. The purpose of these scholarships is to encourage and promote higher education in under-represented minority groups, and proving your ancestry is the only way to be considered eligible. The first step to proving your Native American or Alaskan Native ancestry is to obtain a Certificate of Degree of Indian Blood, or CDIB. The CDIB is a document certifying that you have a specific degree of Native American blood and can trace your lineage through one of the Federally recognized tribes. These certifications are made by the Federal Bureau of Indian Affairs and are required for any scholarship consideration. Native American students will be able to find scholarship opportunities from a number of sources, both Federal and private. Many colleges and universities, particularly in regions where Native American Tribes once flourished, also offer scholarships specifically designed to benefit Native Americans and Alaskan Natives. The Bureau of Indian Education provides grants, scholarships and fellowships for certified members of the 562 Federally recognized Native American tribes. The White House Initiative on Tribal Colleges and Universities is a key player in the higher education outcomes of many reservation based Indian students. Together with the American Indian Higher Education Consortium, they provide information on Native American colleges and universities as well as providing financial aid to American Indian students. Many mainstream colleges and universities throughout the U.S. offer grants and scholarships for students able to prove at least ¼ Indian blood. The American Indian College Fund is "native-operated" and a leader in providing support to both Tribal Colleges and Universities as well as students. The organization has partnered with many key corporate and non-profit organizations and is able to offer valuable scholarships and opportunities for Native American and Alaskan Native students. Scholarship programs include those for Tribal College students, mainstream college scholarships for Native Americans, and graduate school students. The Association on American Indian Affairs, or AAIA, works to protect and improve Native American tribes through cultural and educational support. The organization is an important resource for scholarships and offers a number of private donor funded scholarships, including an Emergency Aid scholarship for students with sudden and short-term financial problems. For Native American students pursuing a health science, medical or nursing degree, the Indian Health Service offers scholarships and loan repayment programs designed to encourage and place Native Americans in the health care field. If you have exhausted the above sources, don't overlook the simplicity and efficacy of an online scholarship search. Search terms like 'Native American scholarship', 'American Indian scholarship' or 'Tribal scholarship' will bring a large number of results well worth investigating. Be specific, and include the name of your tribe to help narrow your results, as in 'Cherokee scholarship' or 'Shawnee scholarship'. With a little diligence and some research you will be able to find a number of financial aid opportunities designed to make college an affordable reality for Native American and Alaskan Native students.